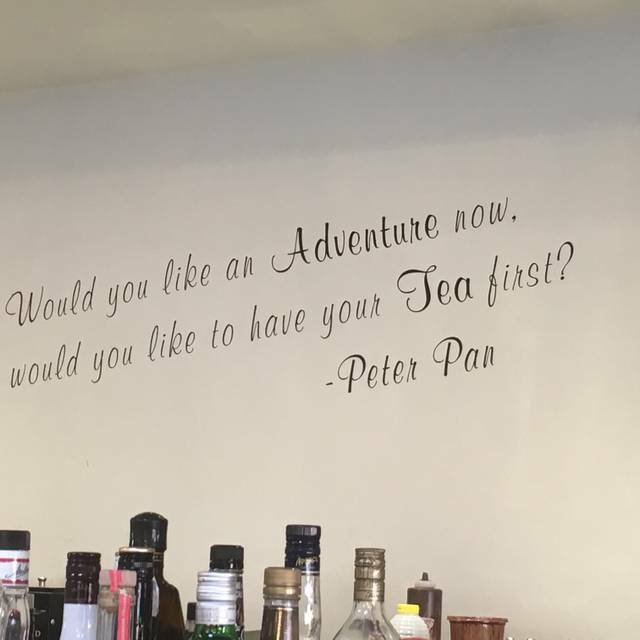 You must make reservations at least 5 minutes in advance of the time at Neverland Tea Salon. Free parking on 10th avenue. Meter parking on Broadway. Having a high tea at home or a picnic in the park, call to order any of our savories, sweets and scones for pick up only. At Neverland you may never grow up–but that doesn’t mean birthday celebrations are off the table! From special occasions to last minute get-togethers, we think even non-occasions are a celebration. So join us for an evening or afternoon of festivities in our Neverland Room. Not your average tea salon, Neverland is an amalgamation of everything we love: celebration, decadence, ritual, whimsy and creativity. We love variety, so we offer you options on which Neverland experience is right for you. Slip in for a quick indulgence at our Tea Bar Bakery, or enjoy our formal high tea service in our Neverland Room. For those with dietary intolerances, our chef, Gordon Kuang, has also customized a complex blend of flours to create gluten-free options that are literally indistinguishable in taste and texture from our regular items. The idea is to have those with dietary restrictions not just feel included, but honoured for their differences. No dairy or gluten, and Vegan? We promise to wow you with indistinguishable variations of our high tea pastries, talk-of-the-town scones and full lunch menu. Three savories and three sweets with up to two pots of tea. Please see our children's menu for details! Our Mother's Day High Tea is so popular, that we have decided to let you love all the Mother's in your life. We have extended our Mother's Day High Tea towers from May 10th to May 14th, so you may give the Mom's in your life an extraordinary day! Reserve now to guarantee a spot! The only negative I would mention is that they didn't disclose at the time of booking or upon arrival that seating's are a max of 1.5 hours, don't misunderstand it is perfectly acceptable however, it isn't noted anywhere and can come as a surprise. We had enough time to get through everything and our server gave a 20mins heads up but that was when we were first made aware of this time limit. Delicious food with lots of options. Great service staff who were attentive despite how busy it was. They enforce a time limit so be on time for your reservation and be prepared to leave when your time’s up. Great tea selection, especially Tinkerbell tea. Nice food presentation and good quality. Only one sandwich item was a bit dry, likely due to our late in the day seating. Overall good experience, probably would be better on a less busier time. The service could be better as one of the servers didn’t ask us to refill our teapots and instead gave us our cheque and told us that the next reservation would be here in a few minutes (even though we were well within our 1.5 max. visit time and the next guests didn’t arrive even 30 minutes later). It was a bit awkward as we felt that that we overstaying even though no one was waiting for our table and we were finishing up our tea. Overall decent place. Love the tea selection and the tea cups. We came here while visiting BC, it was our special vacation meal. 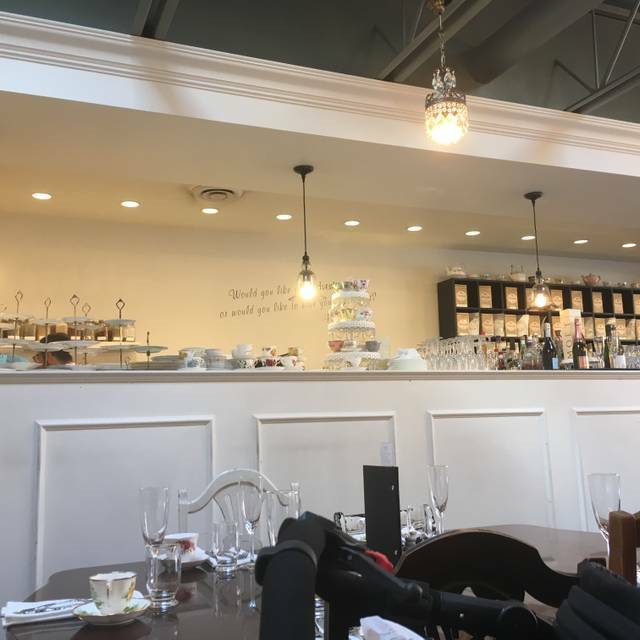 Our experience was fantastic: the service was polite and quick, the tea selection was large, and the food was scrumptious. We would definitely return. I love Neverland! 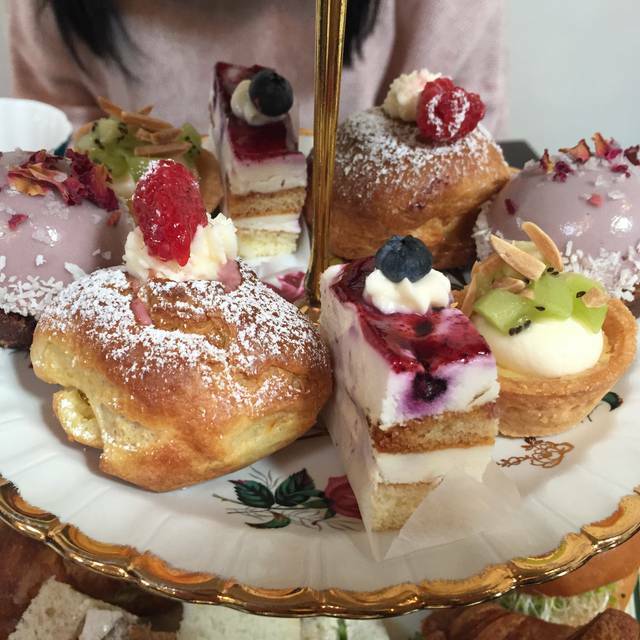 Their high tea is amazingly delicious, the staff is super friendly, the locale is superb and even when busy it isn't too noisy. It can be a bit expensive but it is well worth it. Awesome experience. Kind staff, and accomodating given special needs. We had fun and lots of good food. 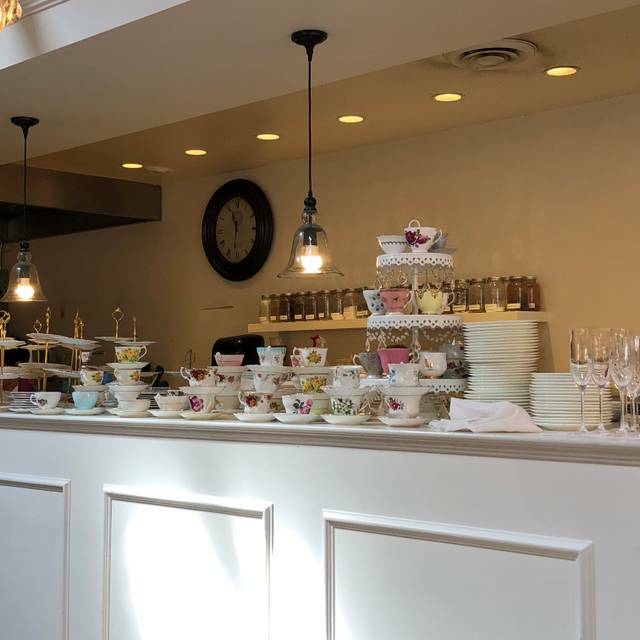 This was my first time having high tea but it was such a lovely experience thanks to the staff at Neverland Tea Salon! 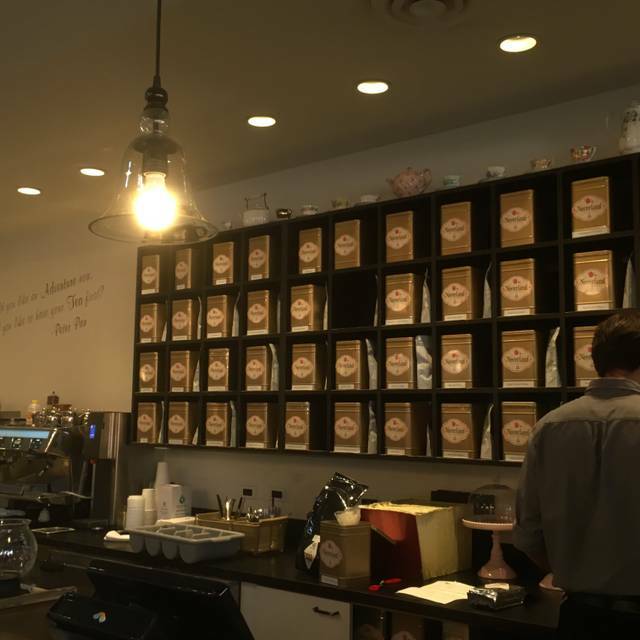 They gave great tea recommendations and it was steeped so well. No bitterness at all (I had a lot of the sweeter teas). I would definitely recommend this place as your first time and will be coming back in the future! We were in to celebrate my cousins 25th birthday. Dalton was our server and he was great, he brought out a birthday treat for the birthday girl at the end of our tea which was such a nice touch. I have been served by him before and every time he is attentive and strikes conversation with us. Thank you for everything and we will definitely be back for the next birthday or special occasion. Great place for surprising a friend for a birthday or just gathering with good friends for catching up. Just a nice place to go. Terrific service and food. Amazing selection of teas. Girls really liked the Tinkerbell high tea. Everything was delicious! Nice decor, very cute tea cups. Our server was very helpful and attentive! Great service and a lot of fun! 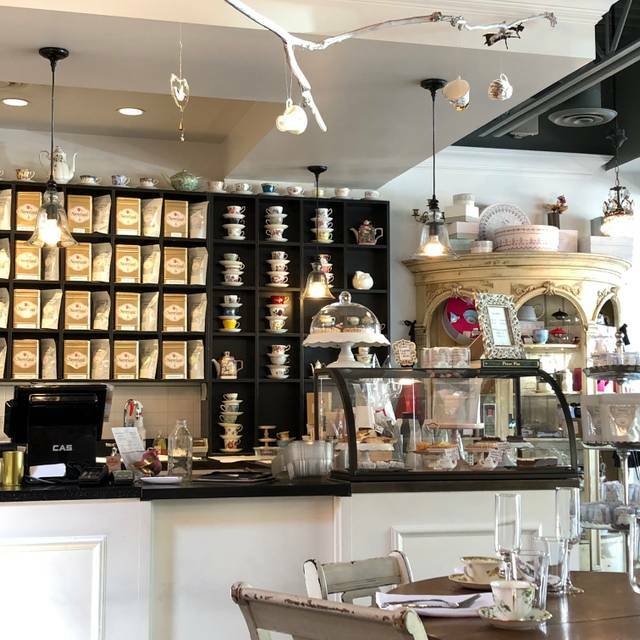 Favourite tea house in Vancouver. Easy to get a reservation, prompt service & delicious food. Will be back! 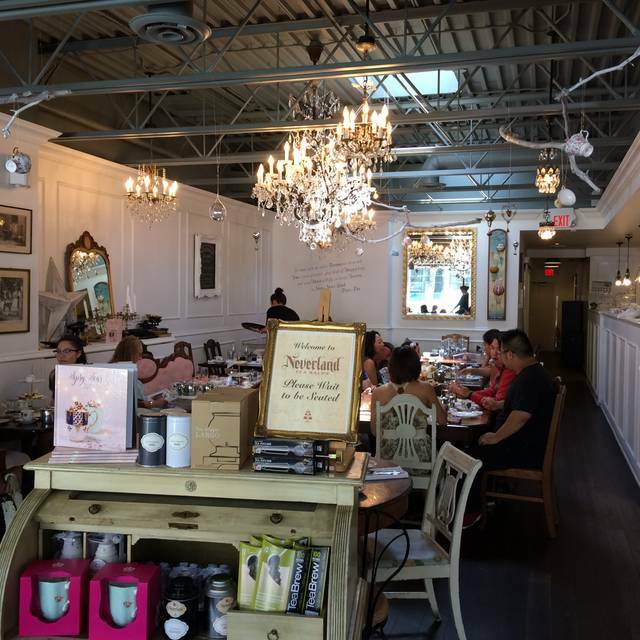 Very good high tea, fun and vintage decor. Lovely food. I took my three kids and my Mum for ger birthday and we all enjoyed it. We had Diva as a waitress and she was lovely! We would come back just for the service! First time for High Tea. It's priced high for what you get. Tea was good, sandwiches a bit dry and bland. The sweets were just okay. Will not likely be back. A lovely tea experience. The Heavenly Cream tea was indeed heavenly! Had a lovely time. Started with a Bailey’s Irish Tea as it was St. Parick’s Day! The high tea gave one lots of choices, we chose the vegan one. It was delicious! Our tea was always plentiful! The employees were awesome, the experience was awesome. The sandwiches were not that great but the treats were also awesome. Sitting and having tea was a wholesome experience. We did not have a designated server. No ones was taking care of our table. Our tea came but no one brought us cream or milk. We waited over 10 minutes for a server to come to our table. We tried getting their attention. No one came over so we finally walked over to the counter and asked for cream and milk. The croissant with one of the only sandwiches I liked. As for the rest of the food it wasn’t amazing. I was a bit disappointed. Our total dining time was approximately 90 minutes. No one came by to refill our water or tea. We had 1 pot each. It was a disappointing dinning experience. Lovely Tea Salon. Great service. However, a bit noisy with an almost full house on the Thursday at 1:30 pm onwards. However, as nice as the food and service, the price (as with any high tea places) is very expensive! 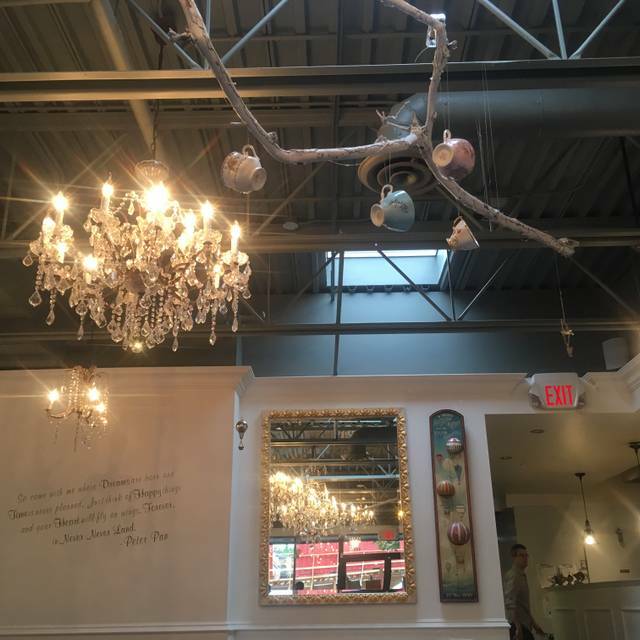 Charming atmosphere and great consistent service. Prices are high so this is a good special occasion place. Love love love it! The eats are so nicely served and ambiance is so magical. Will definitely recommend to others. Server was very friendly and often checks up on how we are doing. Food was ok, there are still room for improvement. Overall, I had a good experience. 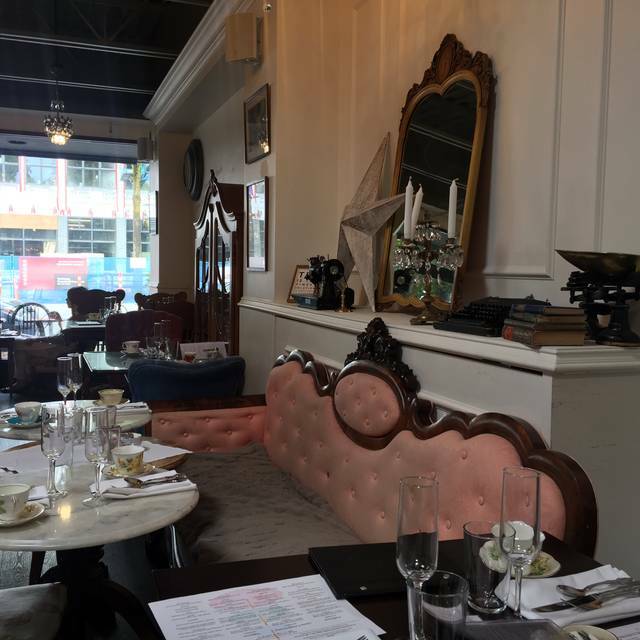 We went here to celebrate one daughter's birthday with high tea, and loved the ambiance, food and service. We plan to return! Wonderful experience. A bit of a tight spot and slightly noisy due to small quarters. Otherwise, great food and service. All worth it. Food and tea selection was amazing! We were disappointed the service. We felt very rushed. After only one hour I was asked if I wanted my desert packed up while my friends were still eating. Came with a friend for our joint birthday celebrations. Service was sensational, super cute place and the food was quite lovely. I found most of the sweets a little too sweet for my liking, and as a scone lover I would have preferred two scones and one or two less sweets. The thai egg salad was absolutely TO DIE FOR!!!! I was sad I had it first as I love to save the best for last. I really enjoyed my experience - so much so - I booked to be back with my mama in just a few short weeks. Our group of four - friends all of us for over 45 years- came to celebrate our 60th birthdays ! Staff was wonderful and accommodating and food was fabulous as usual. We try to find ANY occasion to visit again!! I took my mom here and she absolutely loved it! We talked about it for the rest of the day! The food was wonderful and the atmosphere was super enjoyable. I would highly recommend! I had been once before without making a reservation and it worked out but I can 100% day that the experience is so much better when planned. Food was outstanding and the selection of teas are so good! Can’t wait for the next time I go! !